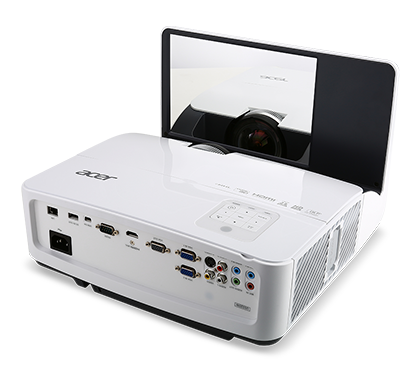 The Acer U5 Series can project a 77" image from an amazingly short distance of just 13 cm, thanks to a specialized projection optical route.Their high resolution makes for clear and detailed big screen images, while color enhancement features deliver vivid hues.The horizontal and vertical keystone correction will help with installation if you cannot place the projector directly in the middle of the screen and will enable you to still project in the centre of the screen. The ultra-short-throw feature offers greater installation flexibility and viewing comfort, while 3D capability and color technologies deliver impressive presentations and immersive learning. And to enhance productivity, networked management tools provide remote monitoring, control and reporting systems.The 4 Corner Correction feature will help your image fit the screen perfectly. As a widescreen projector, the U5320W will be suitable for most things from basic data to movies. It will give you a clear and sharp image. 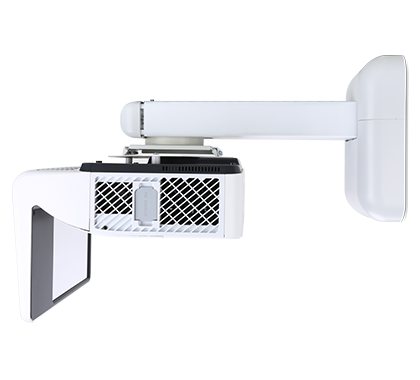 This is a short throw projector so you can project a large image from a small distance from the screen. This is great if you are limited on space and as a short throw it also eliminates shadows on the screen. When presenting you do not get the light beaming into your eyes.